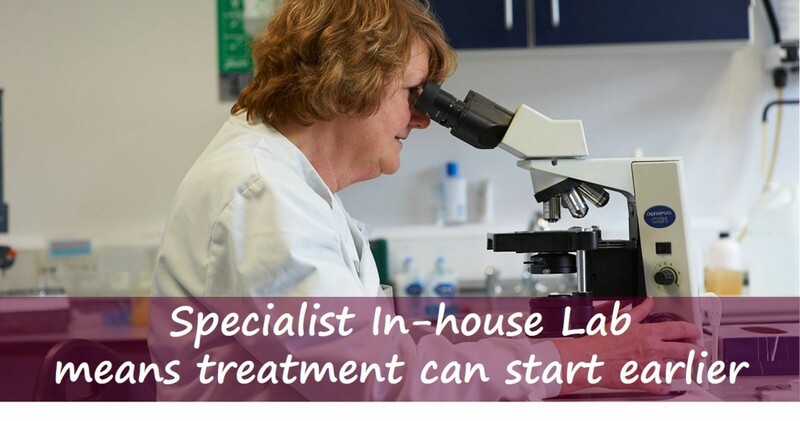 We have our own dedicated Laboratory with laboratory technicians. This enables us to test a large range of samples ourselves, which means that we can often get results more rapidly and at less expense to you. Our Laboratory is approved to screen for CEM. 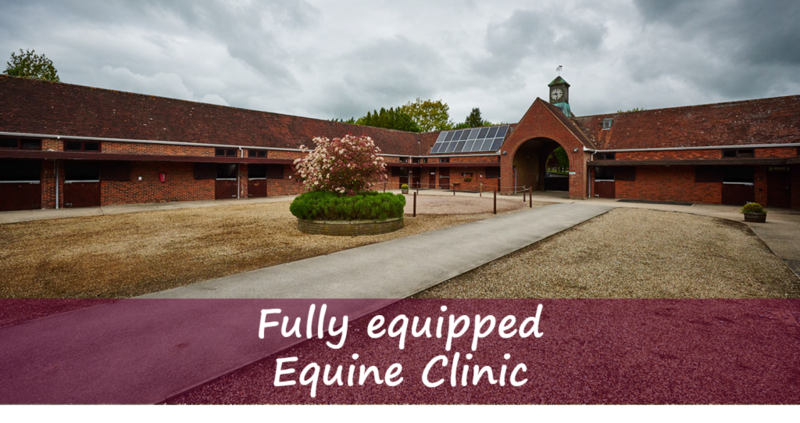 Our very experienced equine veterinary surgeons are dedicated to our Equine Practice. 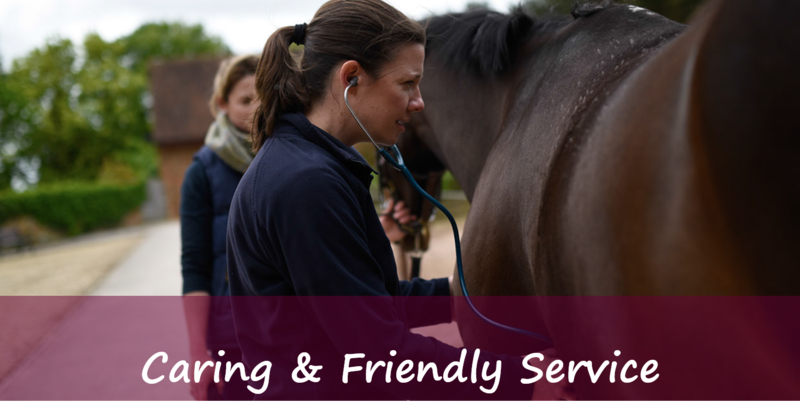 We pride ourselves in ensuring the treatment we recommend is appropriate to the stage of any illness or injury, and work with you, to both ensure your horse's speediest recovery and to minimise the costs to you, giving great value. As our veterinary surgeons are located throughout the area we serve clients in Buckinghamshire, Berkshire, Oxfordshire, Hertfordshire, Bedfordshire, Middlesex and Northamptonshire. In addition, by special arrangement, we can provide veterinary services outside of this area and abroad. 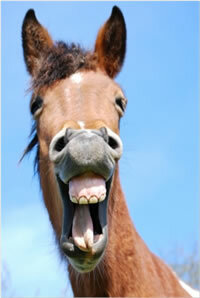 Horses and ponies can get tooth ache, cavities and gum disease. In addition, because domesticated horses and ponies do not graze as much as wild horses, their teeth tend to grow sharp enamelled points that need to be rasped at regular intervals. So, just like us they require regular dental health check-ups, ideally every 6 months to maintain them in the best of health. Please note that BEVA and BVDA only recognise the term "equine dentist" for those with a medical degree in equine dentistry. The Practice has considerable experience working with EDTs: in administering sedatives to enable the EDT to complete their work; providing supervision, advice and assistance to EDTs; or when a horse or pony is referred to us by the EDT for Category 3 dental work that only a veterinary surgeon is qualified to undertake. Routine Health Checks is an ideal time to have your horse or pony's teeth and mouth checked by our vets, which will also keep your costs as low as possible. 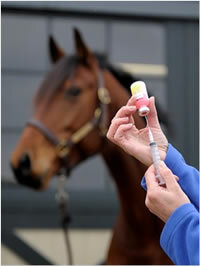 See our Equine "Animal Care Guides" for more information on Dental Care. See also our Free Dental Visit promotion. As a veterinary practice, we find that there are many facts about a vetting that a purchaser or vendor are unsure about or have misunderstood. The leaflet opposite explains the different types of vetting, why each is relevant to a different situation and what is required of both a purchaser and a vendor. The Pre purchase examination (PPE) provides a general routine of examination and consists of 5 stages, which have been developed and found to be a satisfactory means of detecting signs of disease or injury. A 2 Stage PPE restricts the examination to the 1. Preliminary Examination and 2. Walk and Trot, In Hand stages only and may not reveal certain conditions that may be discovered during the course of a full 5 Stage examination. When booking a 2-stage "vetting" you will be required to confirm that you accept the limitations that this examination has compared to a 5-stage. The Joint Measurement Board was established in 1934 to run a national scheme for the measurement of the height of horses and ponies for the purpose of description and classification of such horses and ponies for competition. We are able to provide an official JMB measurement at our Barrettstown Equine Clinic (Official Measurer/Pad No: 0401 Terry Horgan MVB MRCVS). To book a measurement please contact our Equine Office. The protocol for vaccinating your horse or pony can vary between different competition bodies such as the FEI, Pony Club, BHA, BD and BE. These in turn can be different to the actual protection provided or recommended by the vaccination itself, with the competition bodies protocols generally having tighter rules. Although the Practice can provide advice on competition vaccination schedules, it is the owner's sole responsibility to ensure that their horse or pony is vaccination in accordance with the rules of the competition body it is competing under.